B&B near Mont St Michel 35 + la Ferme de la Baie 7km from Mont St Michel, gites sleep 4, 5 and 9; also B&B, all on 2 acres plus farm animals. 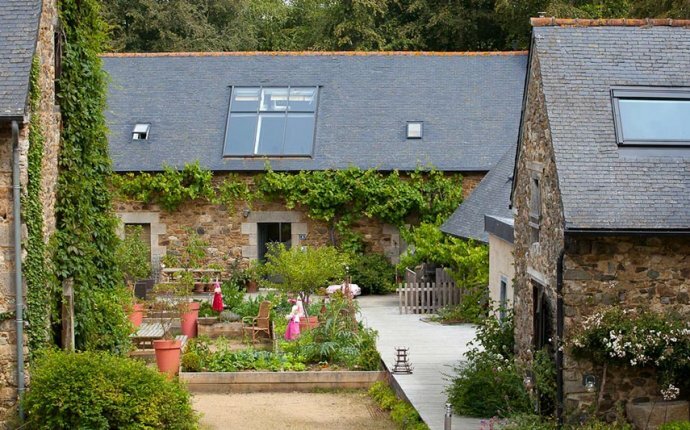 Between Paimpol & Tréguier 22 - + Troezel Vras, a 17th century manor offering B & B and evening meals; 5 minutes from the sea, and just off GR 34 long-distance footpath..
Brittany-Normandy border 35 Les Touches is a B&B ideally situated for tourism in Normandy and Brittany. We have 3 double rooms (all wifi enabled), swimming pool, and offer evening meals. B&B near St. Brieuc 22 B&B in the village of Pordic, a km from the beach at Petit Havre. Three rooms. Tea and coffee making facilities, fresh produce for breakfast . Garden, terrace, Communal lounge.